Home » Is NordVPN Safe? “Is NordVPN really safe?” You’re not alone in asking this. There are literally over a thousand people asking this every month! One of the biggest questions on anyone’s lips when looking for a VPN is one of safety—are the VPNs I am looking at safe? How can I tell? Let’s dig deeper and look at each of these in turn. A Kill Switch—this is a must-have security feature that completely terminates your internet connection if your NordVPN session drops. Without a kill switch, suddenly losing connection to a VPN server could expose your data and information, however, a kill switch prevents this by instantly halting all your internet traffic. CyberSec—this is NordVPN’s built-in anti-malware and ad blocking tool. It keeps a constantly-updated list of malicious websites and prevents you from visiting them when it is enabled and you are connected to a NordVPN server. Double VPN Servers—Nord’s double VPN feature routes your traffic through two different servers for double encryption and maximum security. It does this without slowing you down, too! Obfuscated Servers—these servers are specially designed to be used in a country with heavy censorship—e.g. such as China where VPNs are blocked—so that full and free internet access can be gained by users living under strict authoritarian regimes. DNS Leak Protection—one thing that can kill our would-be positive opinion about any VPN service is DNS leaking, a security flaw that allows DNS requests to be revealed to your ISP and other third parties. NordVPN automatically protects against this and we have never come across it happening in all our time using their service daily. VPN providers are notorious for painting a pretty picture of their service with all its features, strong encryption, and seemingly strong stance again surveillance, only for their legal documents to expose the fact that they record your information and retain the right to disclose it to third-parties. That’s not a good thing! What’s the point of a secure end-to-end VPN when your traffic is being monitored and recorded from within? It eliminates the point of using it. The thing is, anybody can access this information—it is always freely available on providers’ websites, it must be by law. Often, though, people choose not to look at these documents and this is when people get caught out. They have a zero-logging policy. Absolutely nothing is collected session-wise, not even information about the device you are using to use the VPN. No information will ever be disclosed to authorities or government organizations if it is requested or there is an attempt to force NordVPN’s hand. Other information that isn’t logged includes time stamps, bandwidth usage, traffic logs, or IP addresses. None of this can be used to personally identify you, connect you to NordVPN as a user of its services, or find out what you are doing while connected to NordVPN. In short—you are perfectly safe, nothing is collected, and you can use NordVPN in complete confidence. It’s important to know who you’re dealing with. In most cases, a VPN service is owned by a parent company and it is important to find out who this is, where it is registered, and what other services it is connected to, if any. These countries are part of the “5 Eyes” alliance (the UKUSA Agreement). It is a multilateral agreement for cooperation and the sharing of intelligence and data. If a company is registered in a 5 Eyes country, any information obtained about it or its customers, including VPN usage data, can be shared with foreign governments to aid surveillance and bolster their monitoring efforts. There are 9 other third-party participants to this agreement (including France and Germany) and so it is sometimes referred to as “14 Eyes”. NordVPN’s parent company is Tefinkom & Co., S.A. based out of Panama where 5 Eyes does not apply. It is run by “nominee directors” meaning the true owners of NordVPN is not information that is publicly available. Want to Try Out NordVPN? NordVPN offers a 30-day money-back guarantee. This means you have 30 whole days to try out NordVPN and all its premium features without having to lose any money if you don’t like it. While we are sure you’ll be impressed, getting a refund is as simple as sending an email—customer service is quick, and they will send your money back to your original payment method with no questions asked. 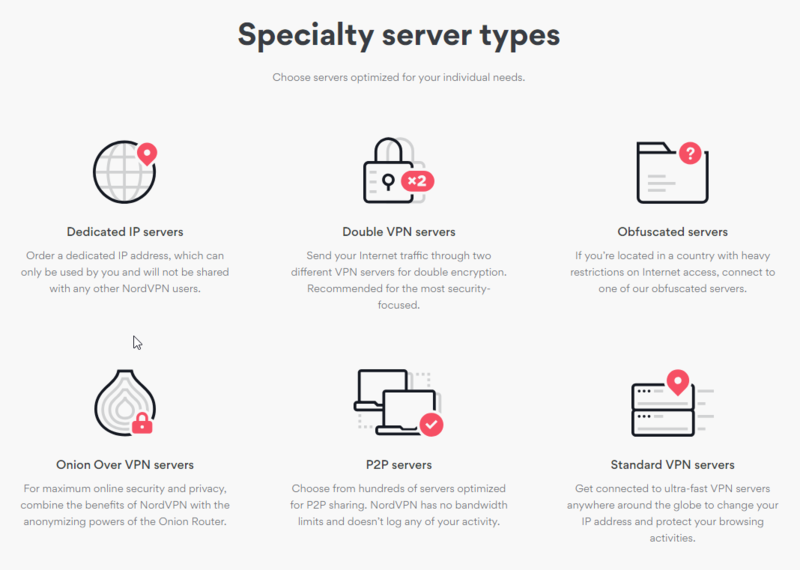 Want to learn more about NordVPN? Read our full NordVPN review. You can sign up for NordVPN here.